I love this post. So true.Every woman who has children of divorce needs to know this. We do the best we can and it’s not personal. Ugh…this makes my heart hurt. I have 2 children and 4 stepchildren. It never occurred to me that my 2 children may choose to live with their dad someday. I (like you) have expectations of motherhood and I honestly never thought it might not go that way. Thank you for sharing….it’s a good reminder that we should let go of expectations to live a better and more peaceful life. 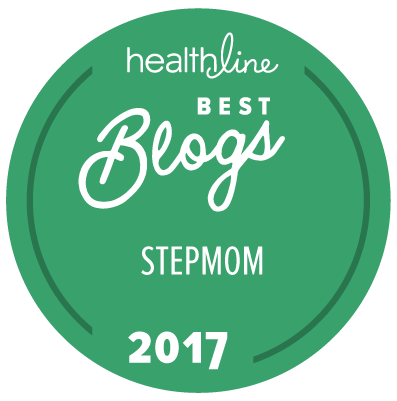 This is a new blog to me and I am finding piece with your writing on being a step mom. We are in a blender together. In search of some “step-mom of teens” blogs, I found this one on a “top 10” list and this article about children leaving to live with the other parent. BOTH of my children chose to do the same — my daughter about 6 years ago at 14 and my son just this year at 17 (left on bad terms 😦 ). Both years were the hardest years of my entire life (worse than the divorce! ), and you hit the nail on the head that it was about my guilt and expectations of being the kind of mom that MY mother was to me. Thank you so much for your honesty in posting this. It has taken me time to process my son leaving (who I never imagined would go) and overcome the feelings of rejection, but I’m finally coming to terms and peace with it and to focus on being the best mom I can be given the new situation, and letting go of my own ideals. I do have two step-sons who still live with us full time as their mother passed away (one is away at college now), and I have come to be extremely grateful for them and I feel as though they are my own children. Thank you for this post. As I lay here reading , tears rush down my face. My heart aches for you. I live in this fear as my 2 are 8 and 11. I often think of the possibility of this happening when they get a little older. You have such a great perspective on the situation.